You want to choose an orthodontist that you have a good rapport with, and can understand and provide the treatment outcome you’re looking for. Invisalign Elite Level Providers have achieved a significant level of experience in treating patients with the Invisalign system. Dr. Theroux and Dr. Barefoot have reached Elite Provider Status which means that they are some of the most experienced Invisalign Providers in the area. Though any dentist can perform Invisalign treatments, we strongly suggest you choose an orthodontist for your Invisalign treatment–a specialist with 2-3 years of additional training after dental school. Did you know that all a dentist has to do to become an Invisalign provider is attend a one-weekend course? Also, dental students learn essentially nothing about moving teeth in dental school. The ultimate outcome of your individual treatment depends primarily upon the doctor’s skill at over-riding the Invisalign software. The treatments provided by the software are never best for the patient and out doctors typically create dozens of refinements/overrides for every individual case. Invisalign simply fails if the doctor does not have the skill set. Since Invisalign is nearly invisible, you can straighten your teeth without anyone knowing. Dr. Theroux was featured on Fox31 News for his use of Invisalign. Have you ever wished for a straighter, healthier smile, but have not looked forward to all the metal wires and bands that often go along with braces? At Total Orthodontics we can make your dream of having a new smile come to life, without any metal! If you’re interested in learning more about Invisalign invisible braces, contact our office and schedule your complimentary orthodontic consultation. Almost Invisible – Invisalign aligners can barely be seen while you are wearing them! Friends, family members, and co-workers may never even know you are wearing braces unless of course, you tell them! Customized just for you – Your Invisalign aligners are customized to fit your mouth. Total Orthodontics uses advanced 3-D computer imaging technology to replicate an exact impression of your mouth and teeth, then he customizes each aligner so that it fits your mouth, and over time moves your teeth into the proper position. Effective – You will begin to notice a significant difference even before your treatment is complete! Most treatments are complete within one year; however, this can vary from patient to patient. With Invisalign, you can have a straighter, healthier smile without all the noticeable wires and brackets of traditional braces. Invisalign helps improve your overall oral health by making it easier to brush and floss, while also maintaining the proper tooth structure. You don’t need to change anything about your current lifestyle! With Invisalign, you can continue participating in day-to-day activities without changing a thing. 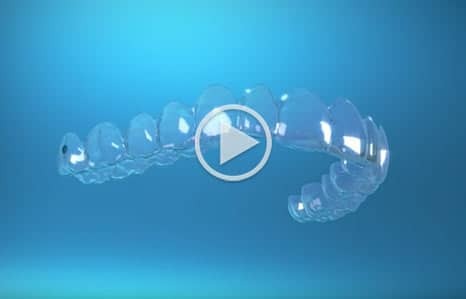 Invisalign is great for professionals, athletes, brides, and parents. When you begin your Invisalign treatment you will receive several sets of custom-fit aligners. Each set of aligners is worn for only two weeks. After two weeks you can switch your aligners with the next set and continue straightening your teeth. Over time you will notice changes in the alignment of your teeth, and in just a few months you will have a straighter, healthier smile! Schedule an initial consultation today with Total Orthodontics to learn how Invisalign can straighten your teeth.